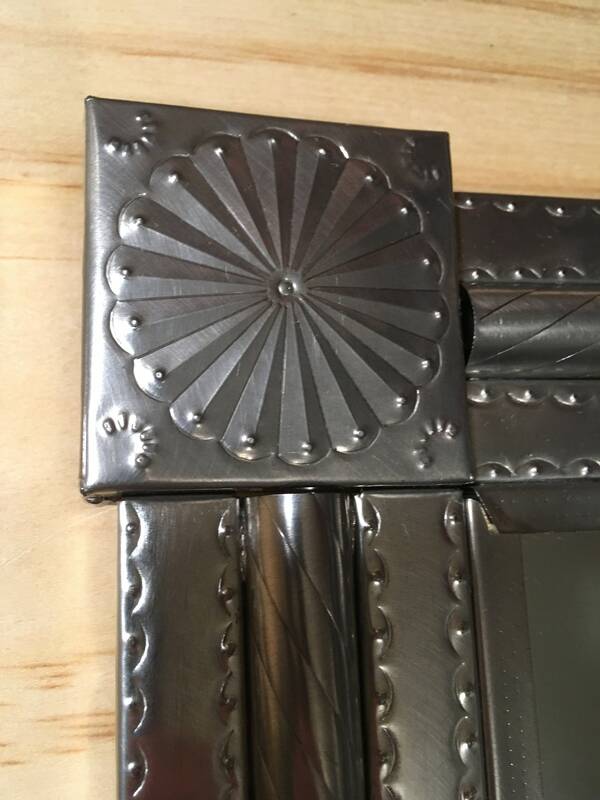 -Spanish Colonial style punched tin mirror. 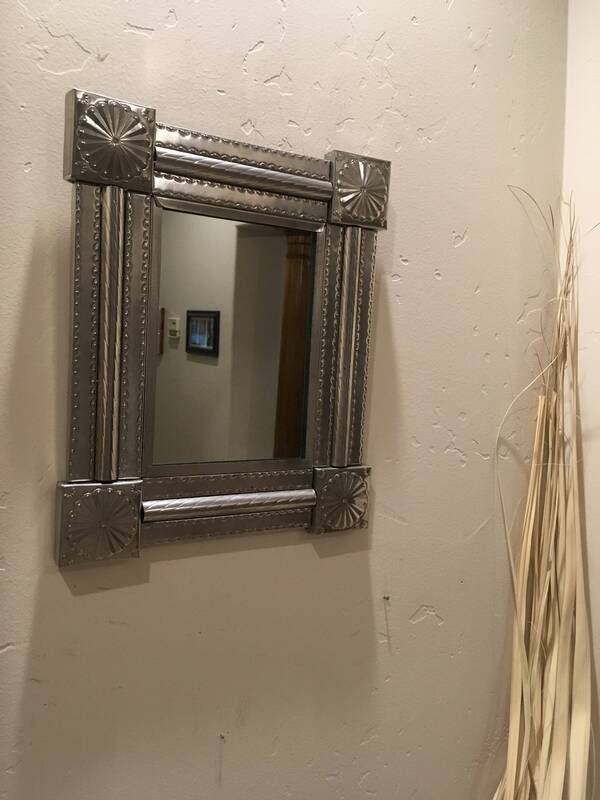 -The name of this mirror style is "Federal Classic". 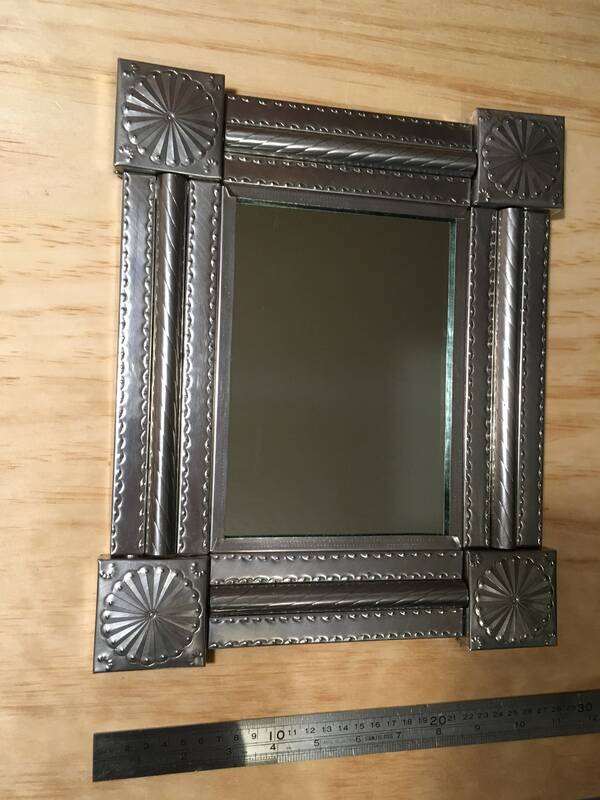 -This piece is slightly antiqued tin with columns on the borders and square corners. -13 inches by 10.75 inches. 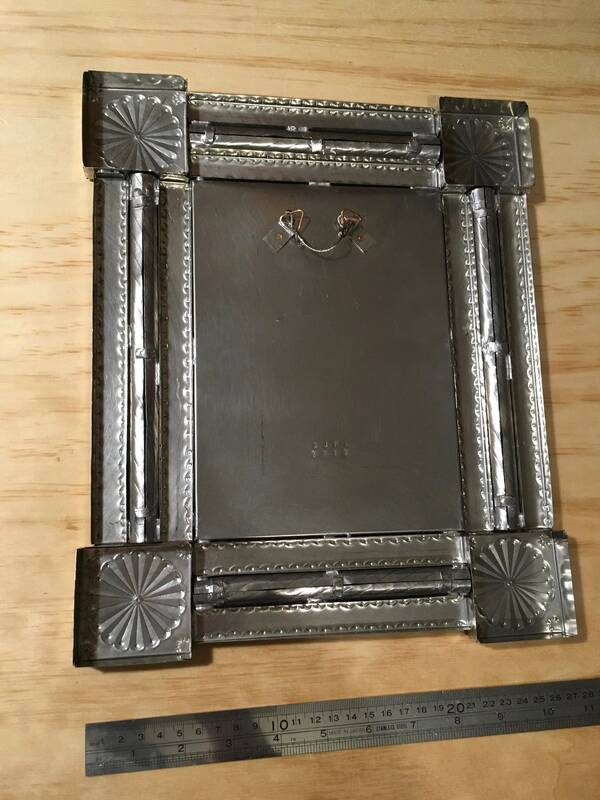 Care: The tin is not sealed and will change in time to slight bronze color, and may tarnish in places. To keep shiny, display in a dry place indoors, away from steam of kitchens or bathrooms. Clean with a dry cotton cloth, if you have to use a cleaner on the tin, 70% rubbing alcohol only. Solder contains lead.